I have so much in store that I can't wait to share with you all. I have photos and tips from Posh Fest in my queue and a couple of fun reviews as well as some Fall cupcakes perfect for tanksgiving dinner or any other get-together this Fall. I am excited to announce I'll be hosting my third Poshmark party tomorrow night on the app. Poshmark shared a brief preview of what I'll be sharing to the party on their blog, but I hope you'll join in on the fun. The theme is Moments of Chic. If you don't have the app, you can sign up if you have an iOS or Android device and enter my referral code HAEWR for a $5 shopping credit. 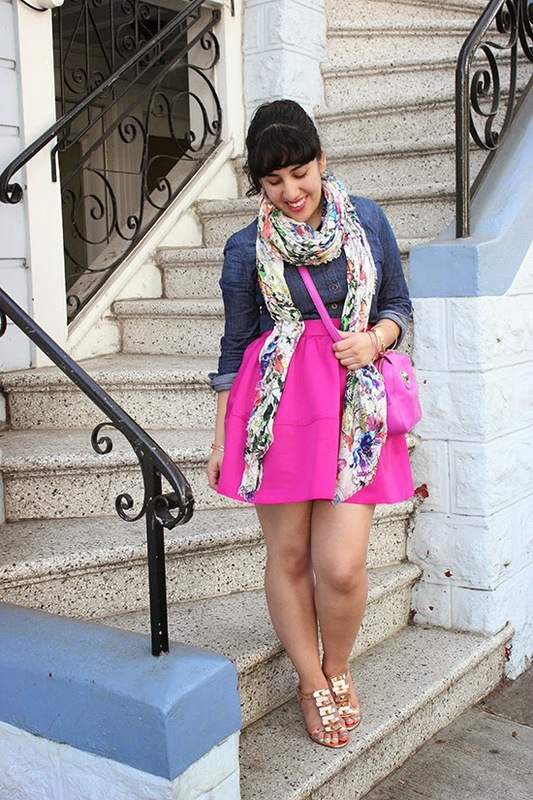 Today's outfit post features this Kate Spade skirt I scored on ThredUp which I feel is very chic. It fit a little too big, but I thought I would see how it looked when it was belted. It looked fine, but I was not convinced I should keep it since it was not the perfect fit for me. 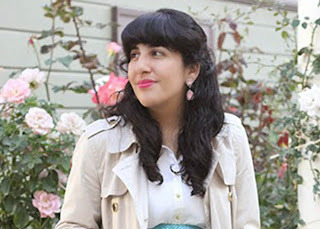 Luckily, ThredUp has an amazing return policy and I ended up buying another dress from there since I happened to be on the site again. 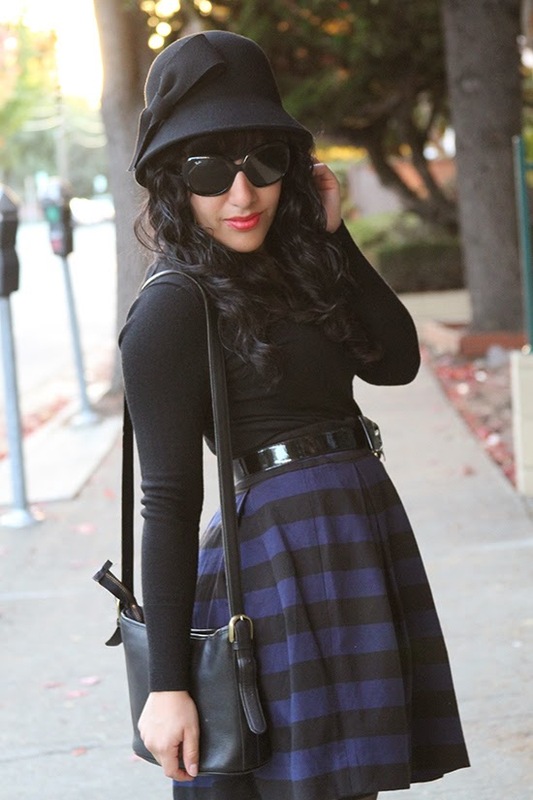 I paired the striped skirt with a classic v-neck wool sweater and my faux thigh-high stockings from HauteLegs. 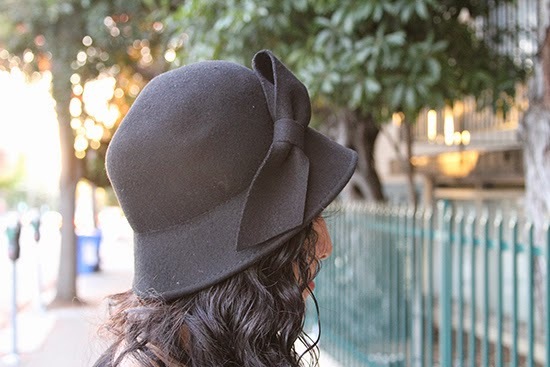 The booties and hat completed this Fall look. 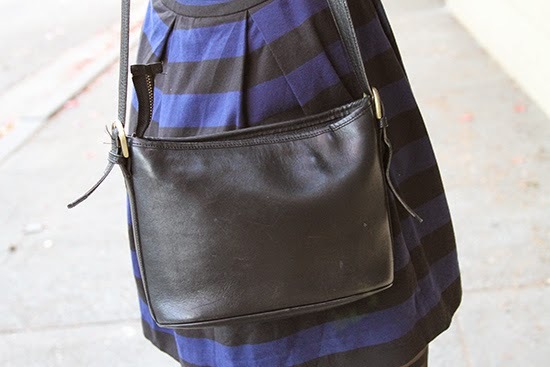 I was recently sent a bag by Thredup to use and sell items to them, so I am debating doing that since I've read some mixed reviews about that. When items don't sell on my Poshmark closet, and I need space, I typically sell items to Crossroads Trading Co. and donate what doesn't sell. I like to keep the clutter in my closet/studio under control, but sometimes that isn't always possible. I might give this clean-out bag a try and see how it goes. Hope your week has been great so far and until next time!